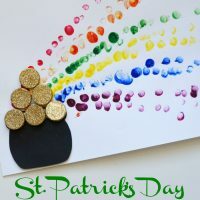 Your crafter will create crafts for St. Patrick’s Day/Spring. There will be a rainbow with a pot of gold, a watercolor wall hanging and a cookie treat with a box for their goodies. These items will go home at the end of class.